Our full line of cabled and wireless weather stations and wireless thermometers provide a wealth of information about the weather just beyond your door. 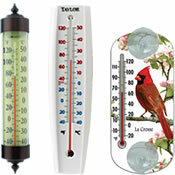 Whether you're looking for something simple or complex, these weather instruments are sure to fit your needs. 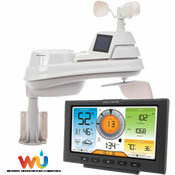 Home weather stations also make a fantastic gift! 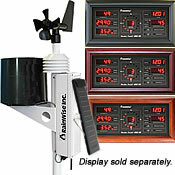 WeatherShack offers a wide array of weather-related products from the world's leading weather equipment manufacturers. We look forward to serving you! 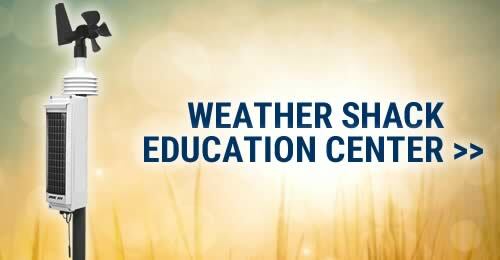 Learn more about weather instruments in the WeatherShack Education Center. Basic weather stations typically monitor a combination of indoor and outdoor temperature, humidity, and barometric pressure. 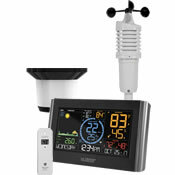 Complete weather stations monitor wind, rain, temperature, humidity, and barometric pressure. 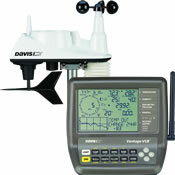 These weather stations have the accuracy, durability, and reliability needed for a variety of professional applications. Analog weather stations provide a unique view of our environment’s ever changing weather trends. All of our handheld weather meters measure wind. Some models include temperature, humidity, and barometric pressure.